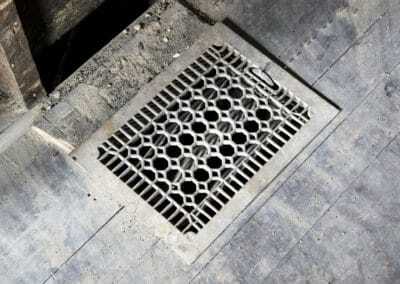 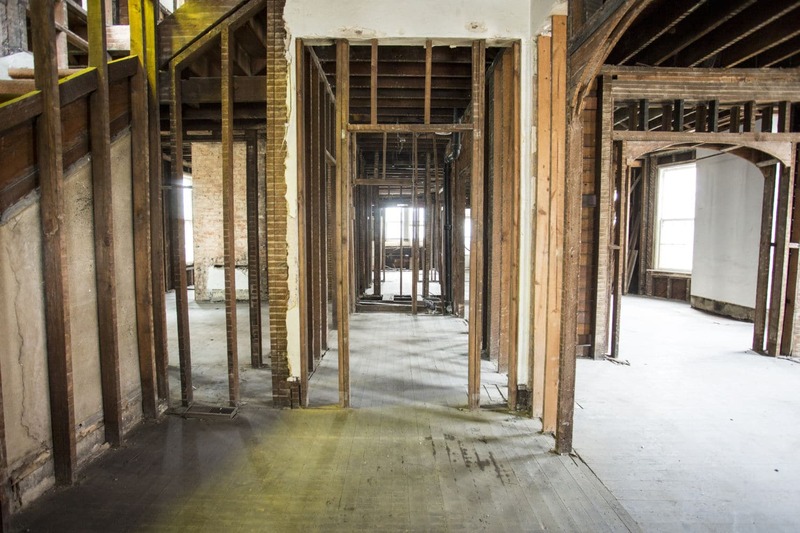 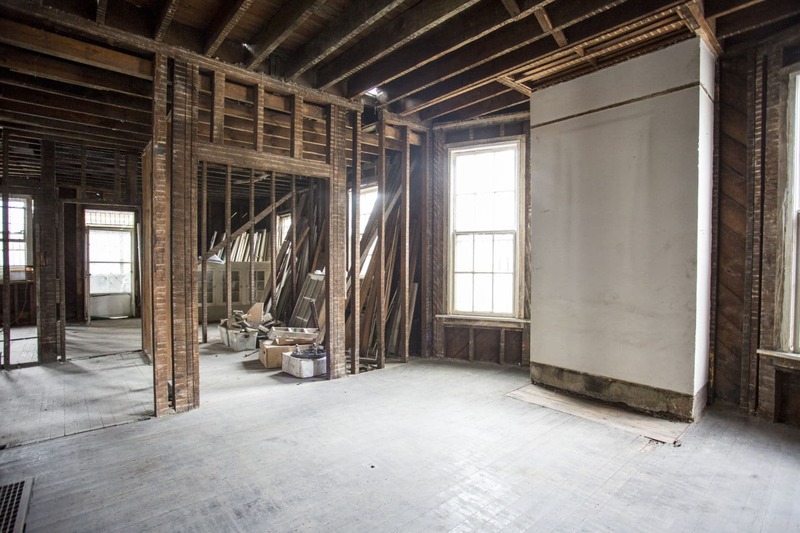 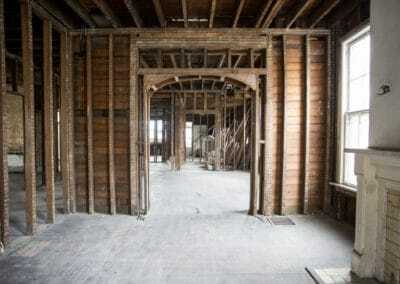 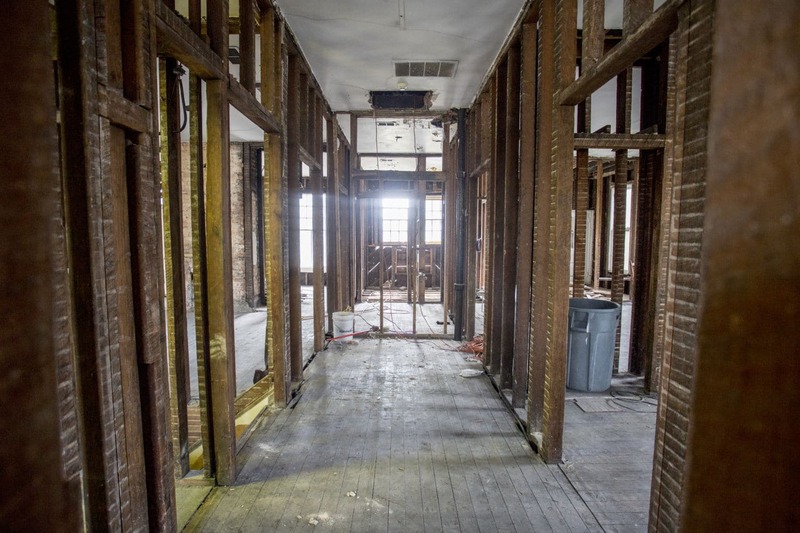 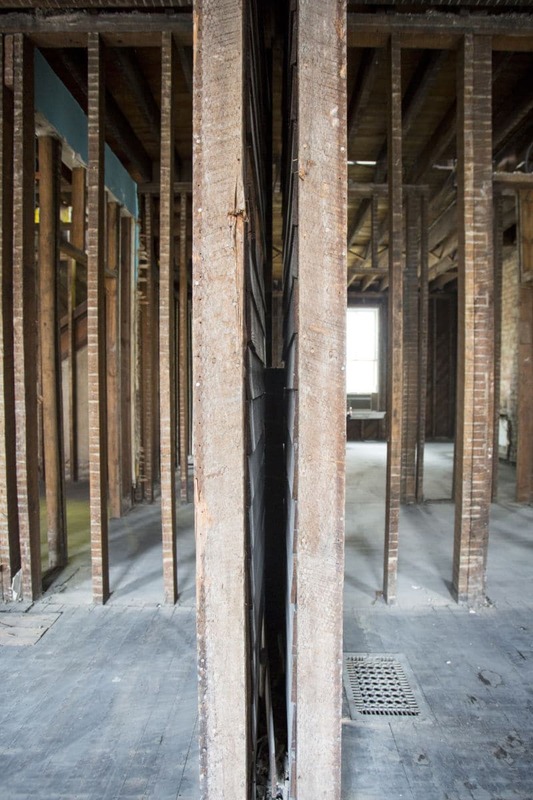 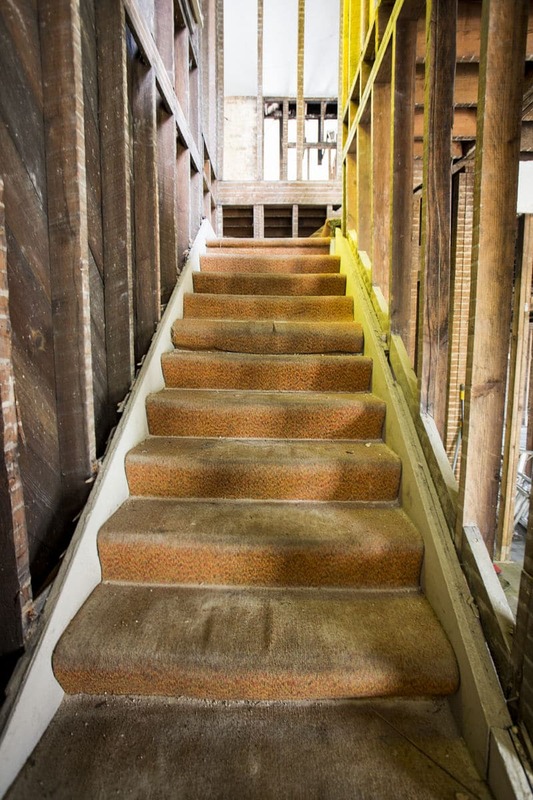 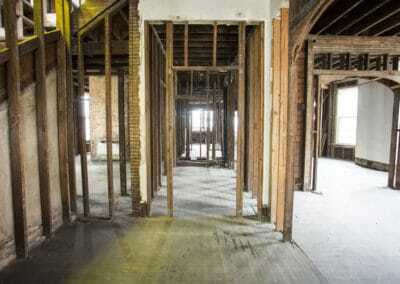 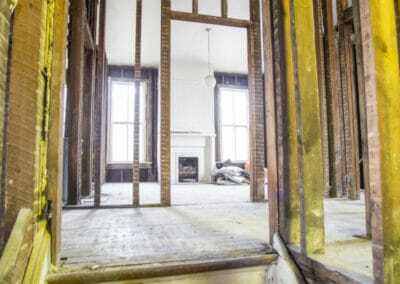 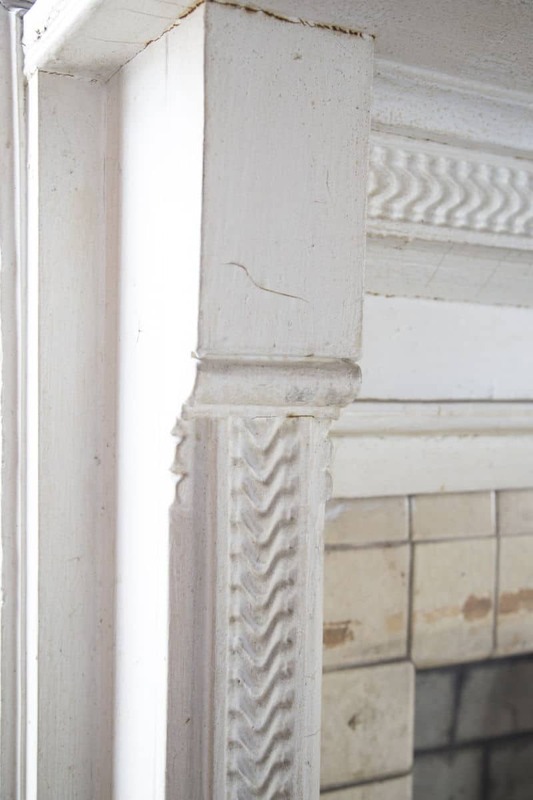 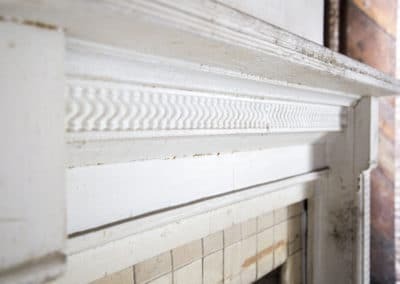 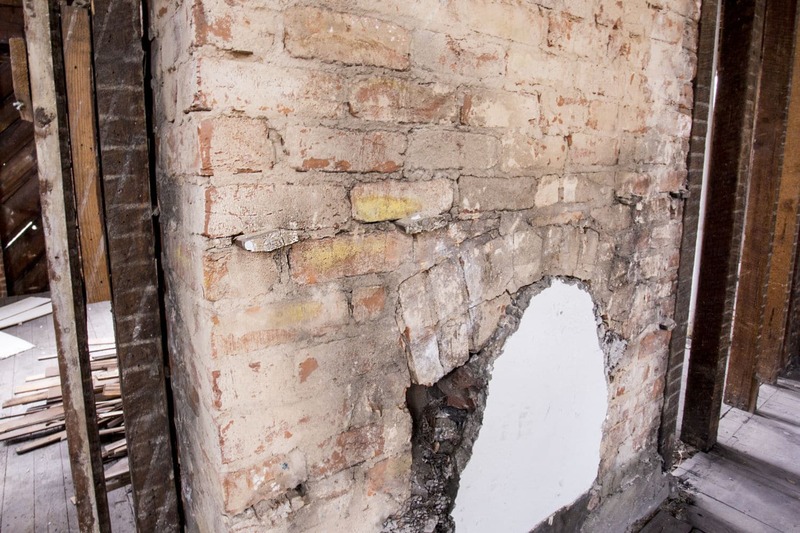 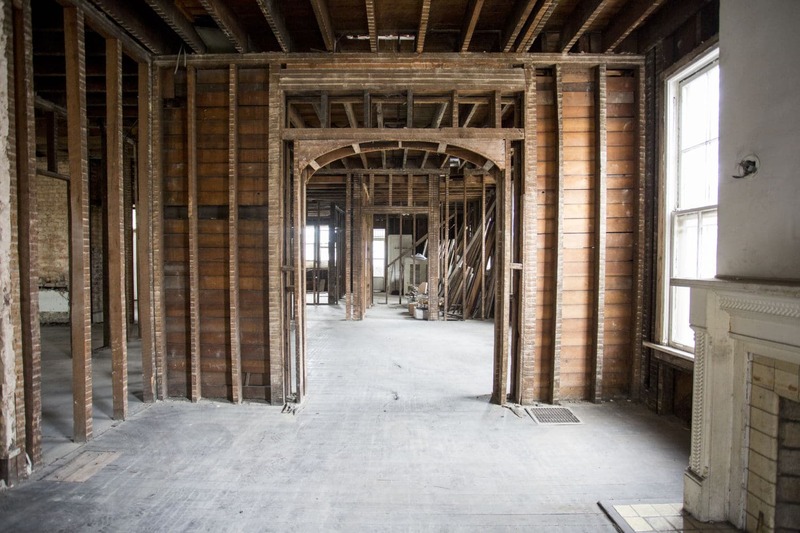 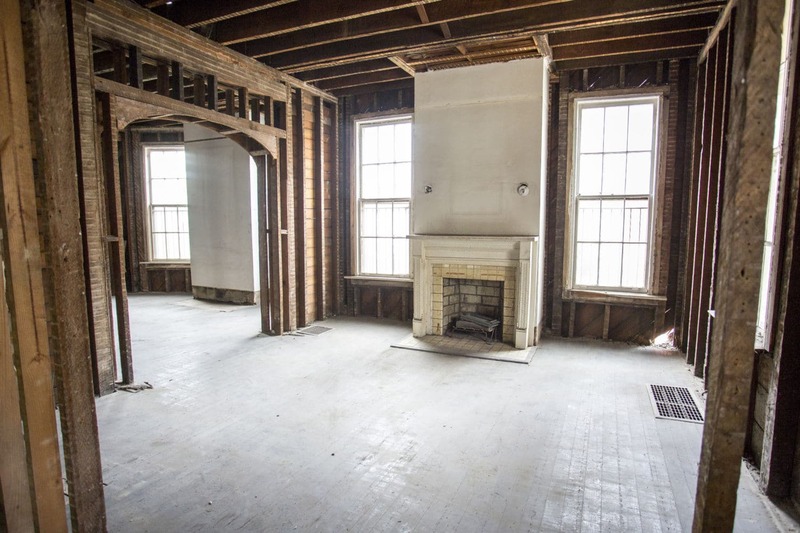 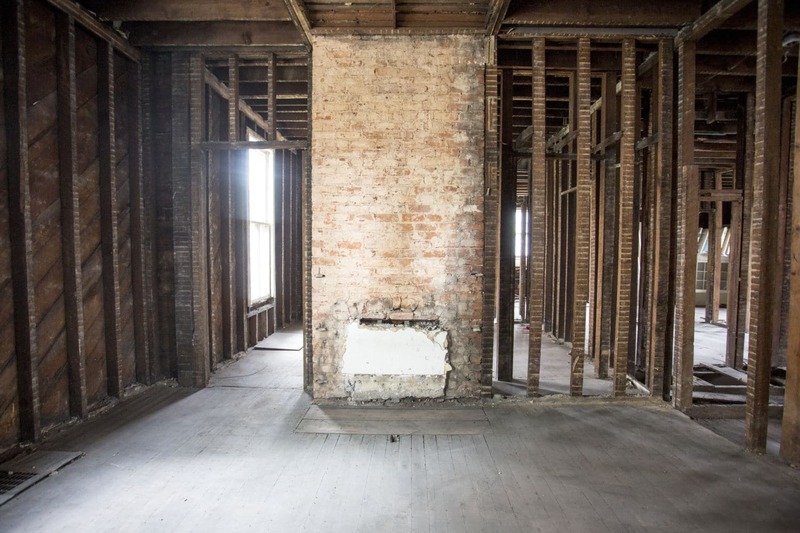 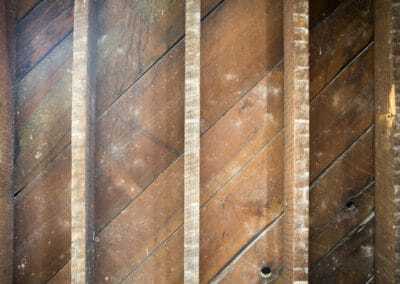 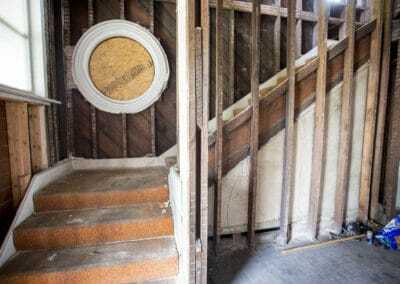 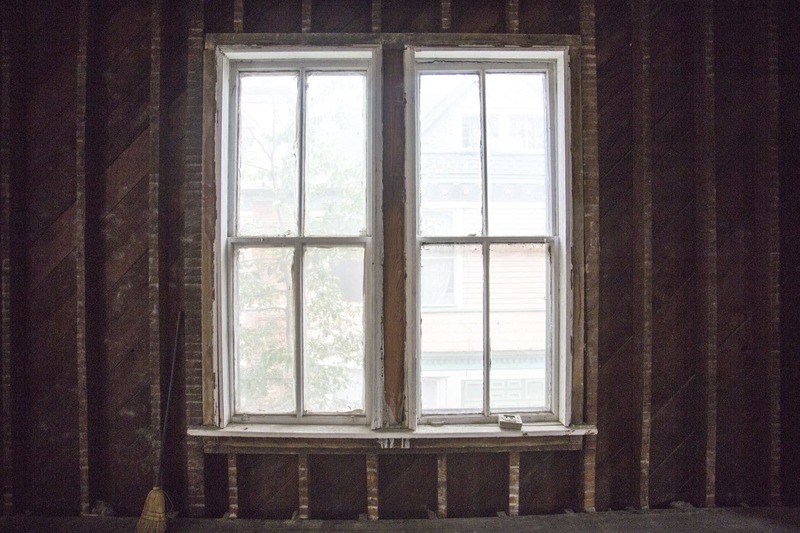 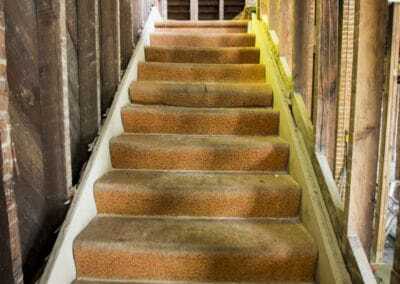 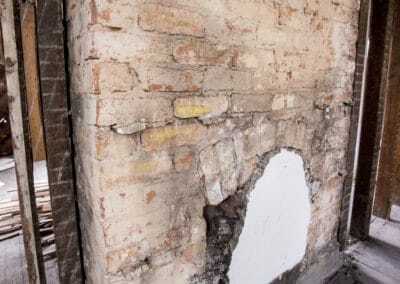 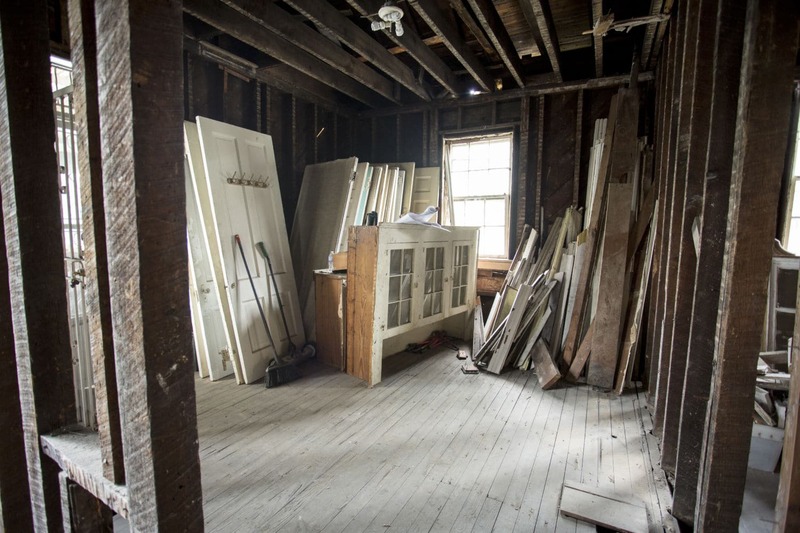 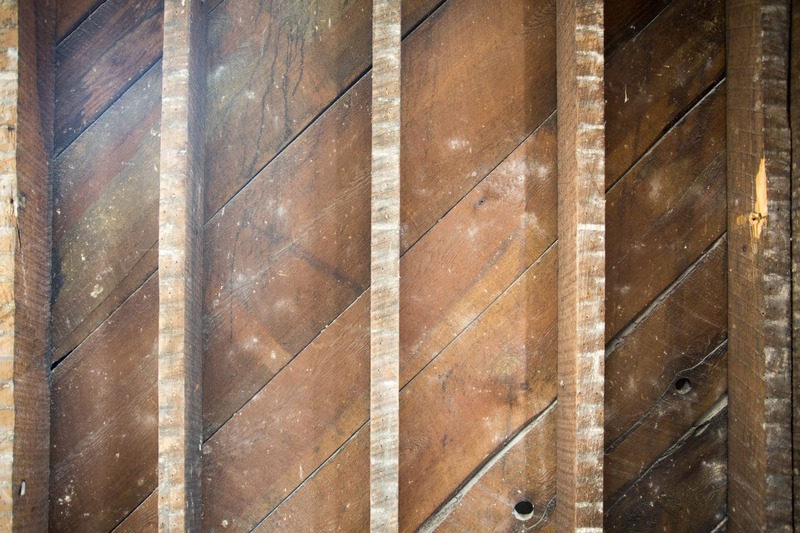 We aim to restore the interior as closely as feasible to its 1890 floor plan while adding modern amenities and systems, and certain changes to be in compliance with codes. 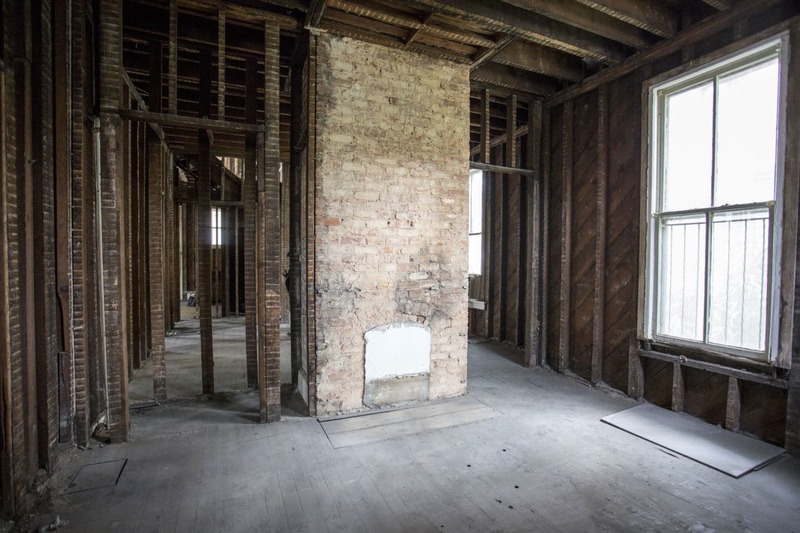 During the 1900’s, the interior was drastically altered as the home was converted into apartments. 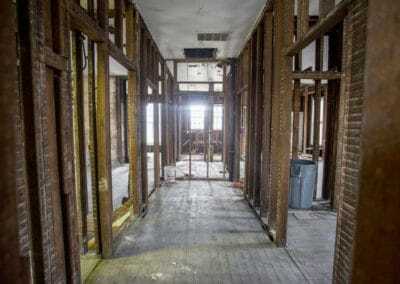 For example, both the first and second floor central hallways were closed in for bathrooms and kitchens, and the front staircase was enclosed to support a second floor hall closet. 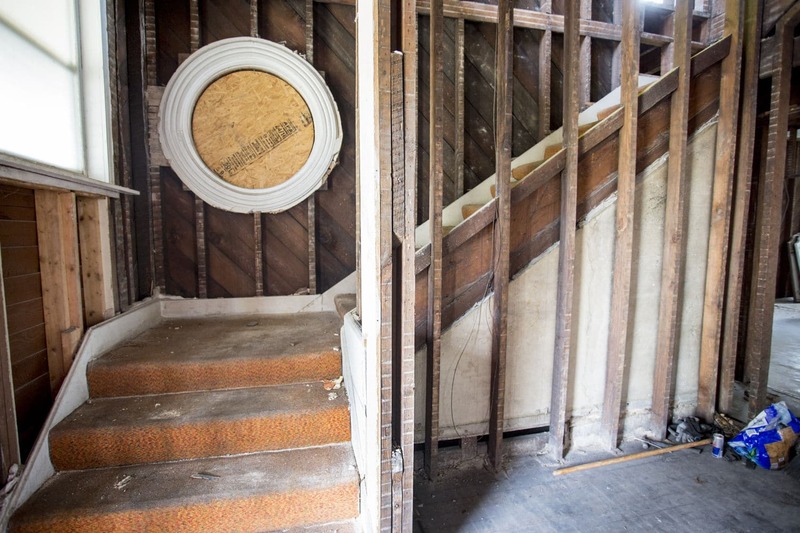 The front stair balustrade was removed and the window next to the first floor landing was replaced with a second entry door. Fortunately, the circular stained glass windows located on the front staircase and the room above survived previous renovations. 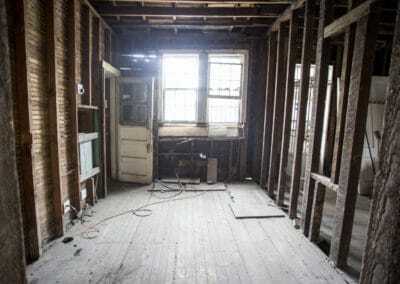 It is unclear as to exactly when the interior underwent such significant changes. 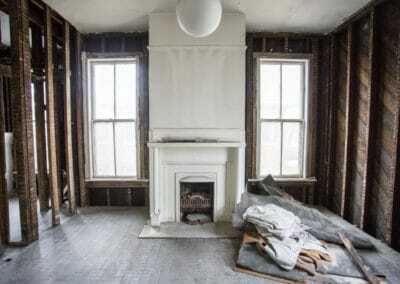 At some point, the house was returned to a single-family residence with one apartment located off the wrap-around front porch. 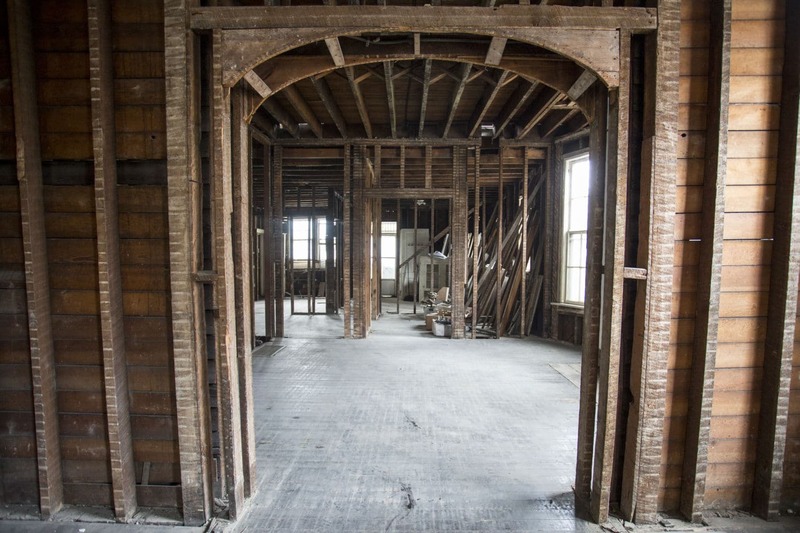 The original cased openings on the first floor were changed to arched openings, and the nine-foot pocket doors were removed. 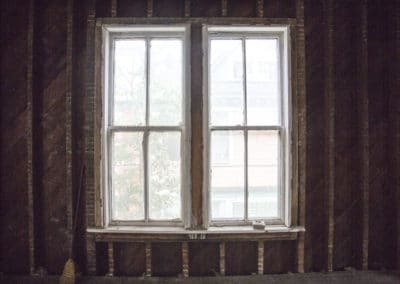 Thirteen of the twenty-four two over two windows were changed to six over six, yet all of the original sashes, window weights and sash pulleys remained. 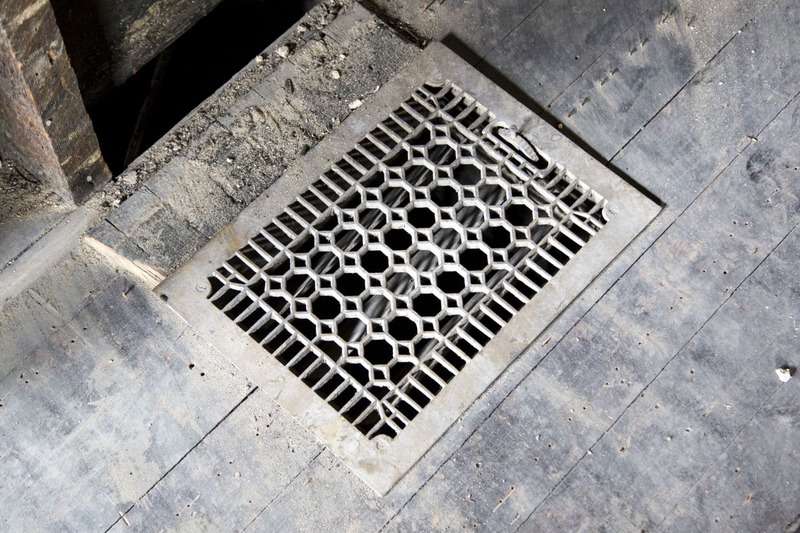 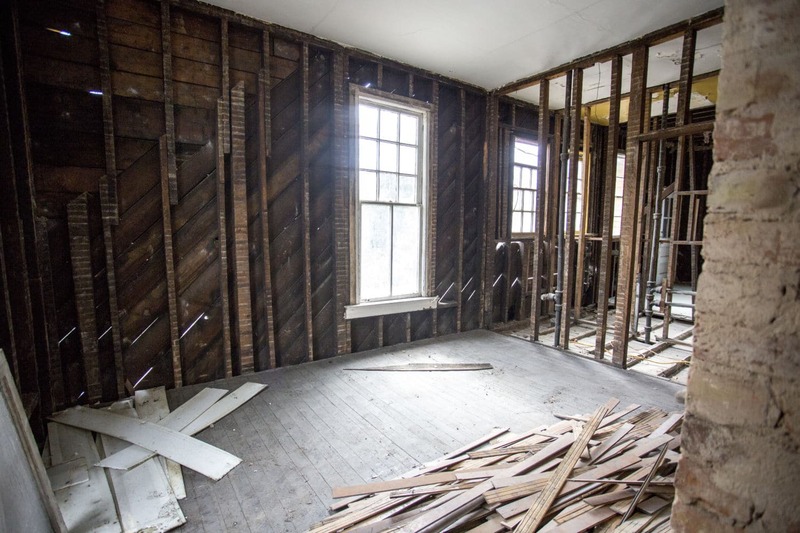 Quarter-inch oak flooring covered the original heart-pine floors, and several areas lacked flooring due to the installment of bathrooms and kitchens. 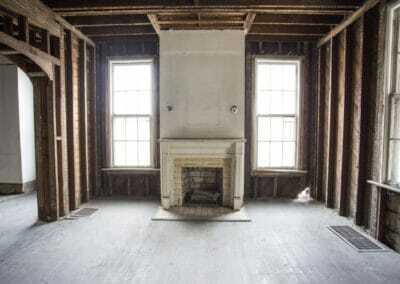 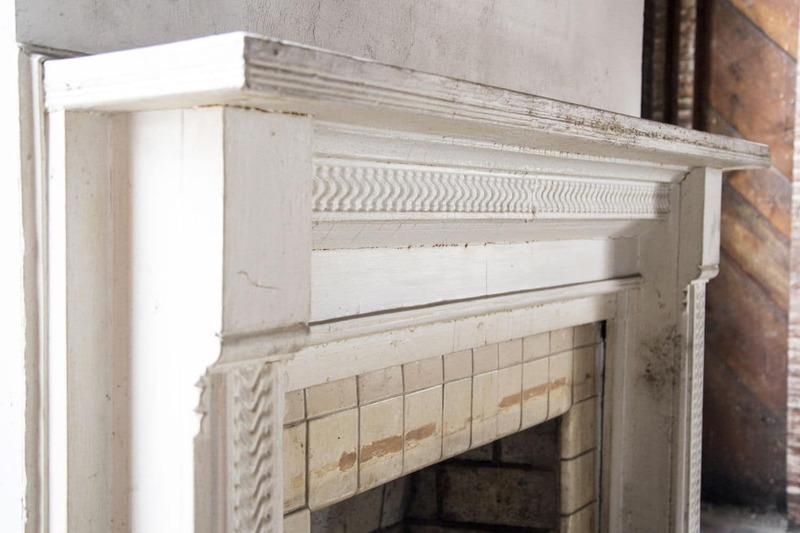 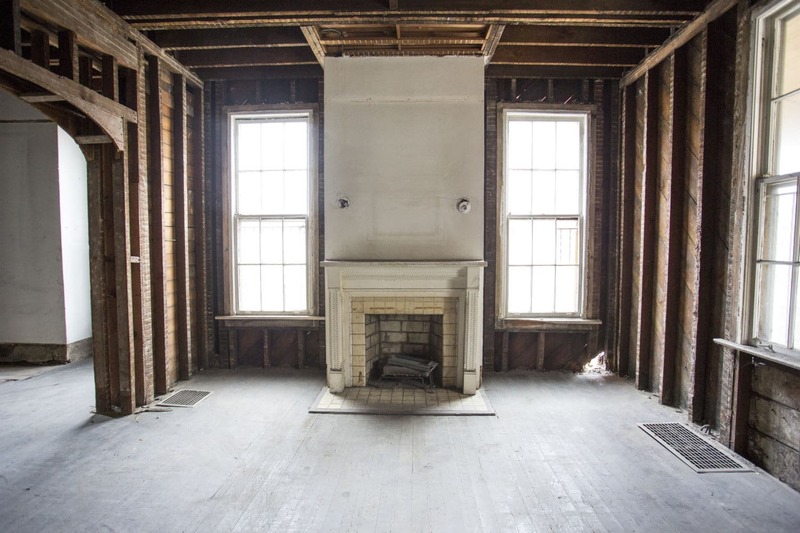 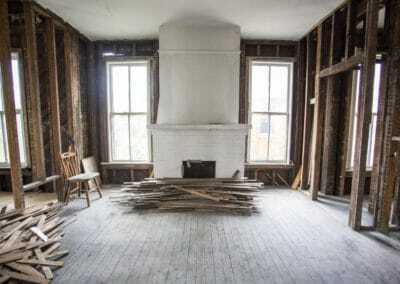 Out of eight fireplaces, only two original mantels remain. 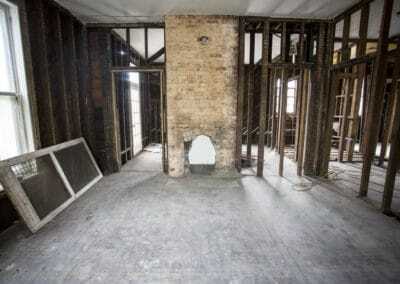 Previous owners enclosed the dining room and double-sided fireplaces and replaced historic tile with tile reflective of the middle to late twentieth century. 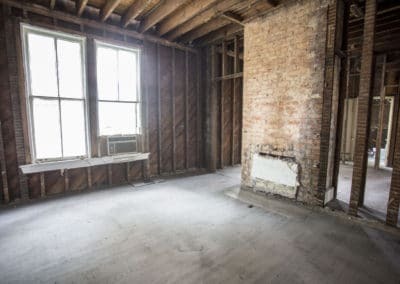 We have no pictures of the interior. 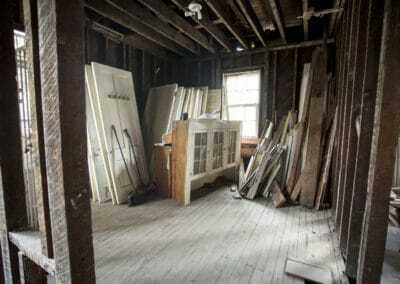 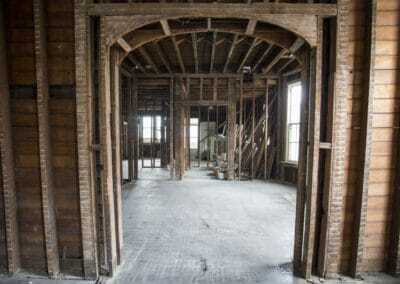 Through research of similar era homes and inference, we make our way forward with the restoration and renovation. 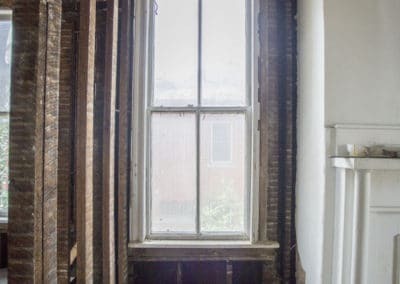 While at times daunting and frustrating, overall it has been and continues to be a great challenge with good surprises each week. 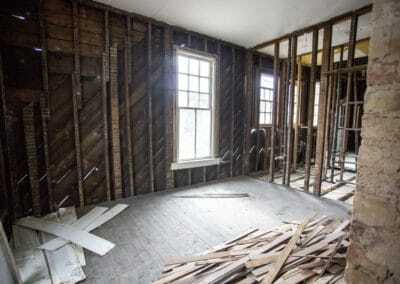 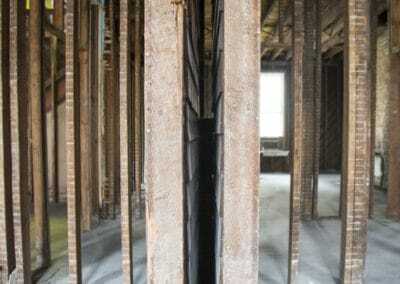 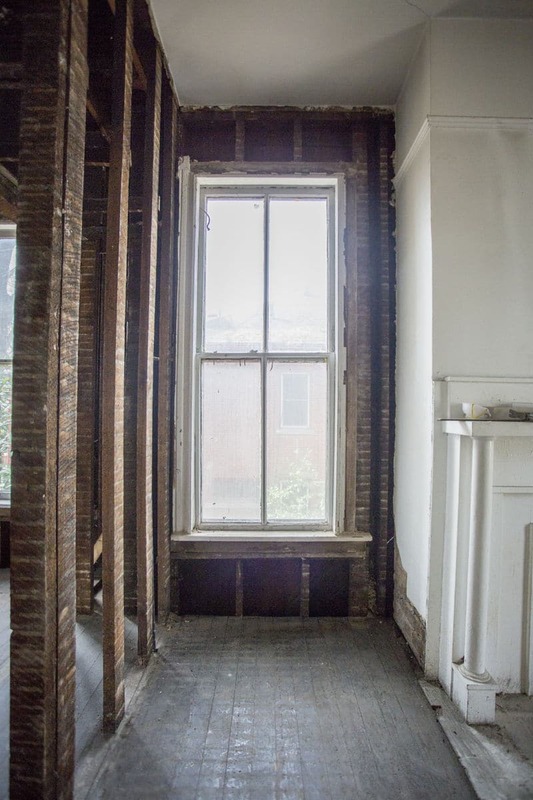 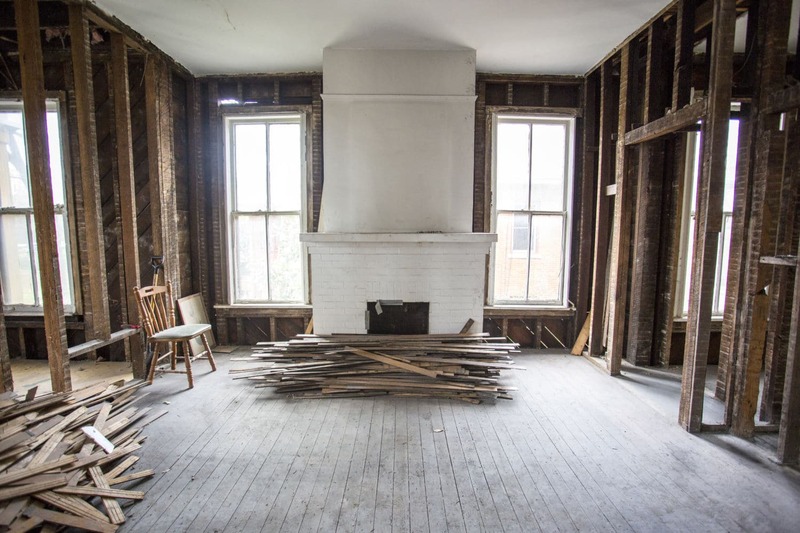 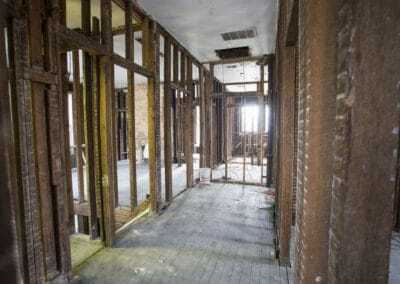 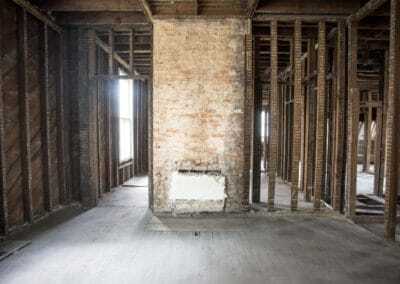 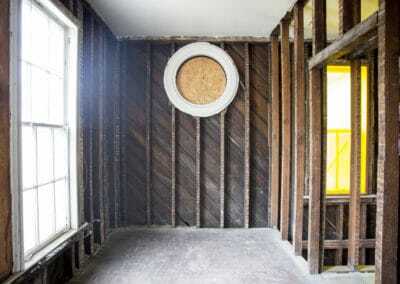 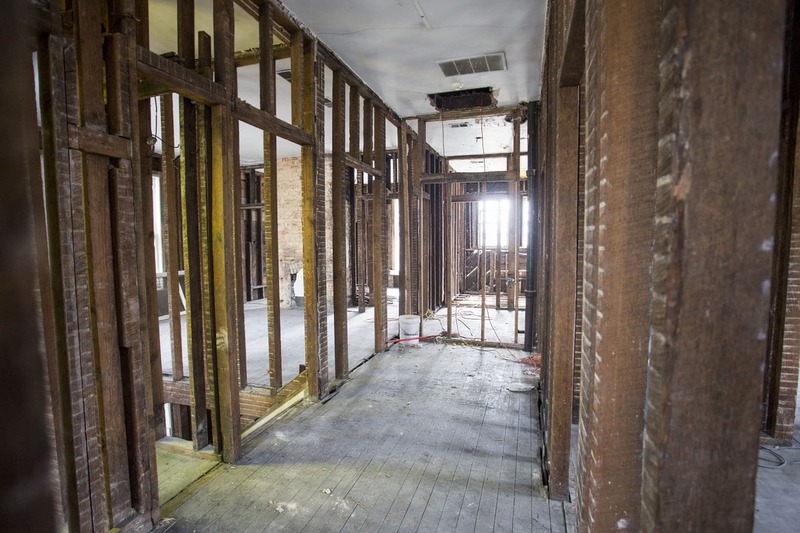 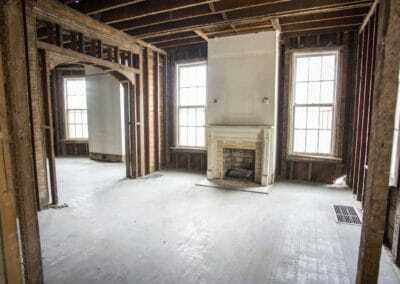 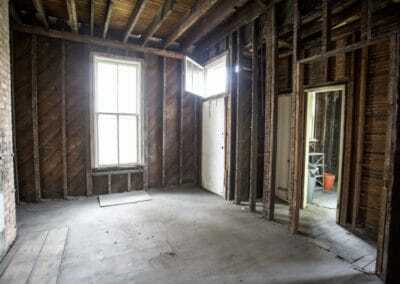 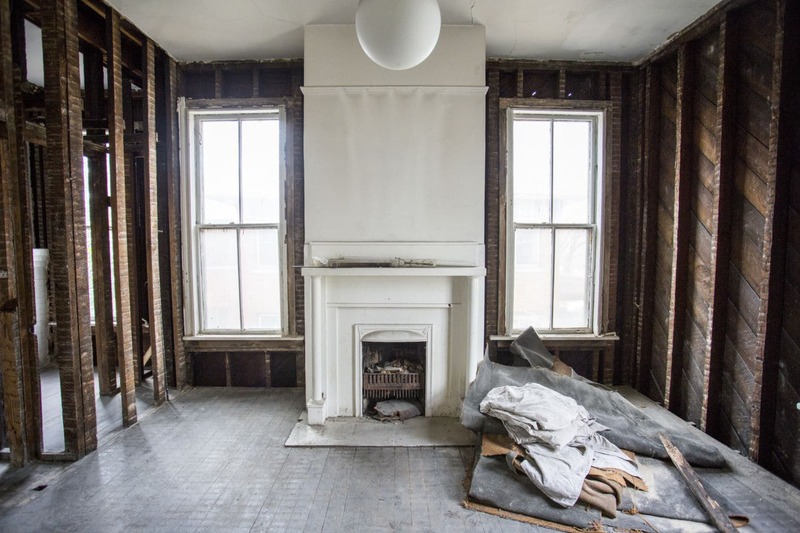 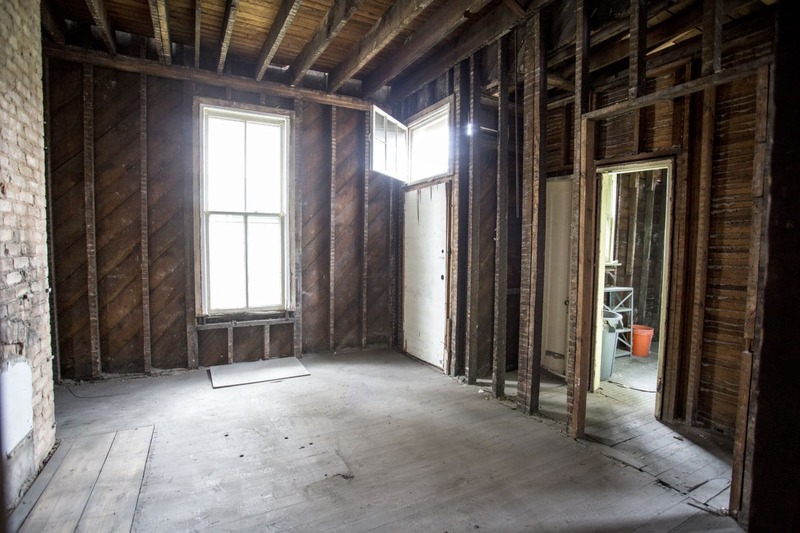 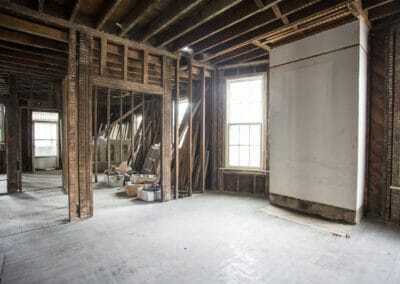 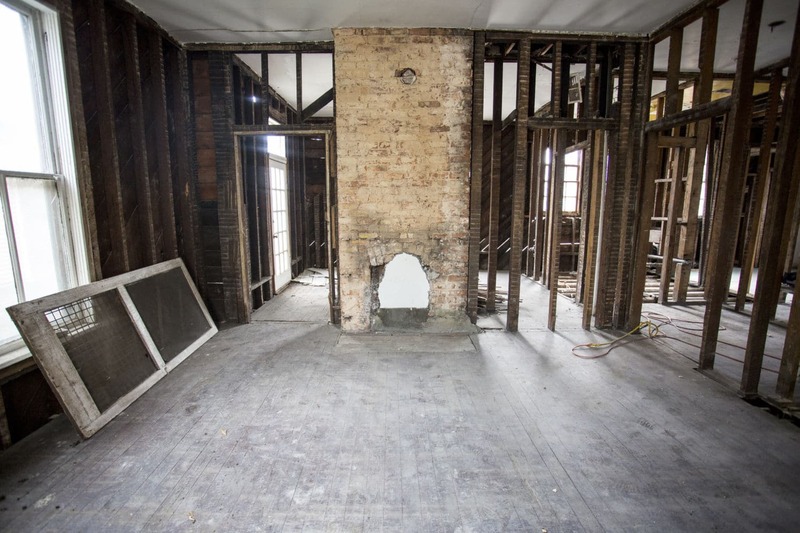 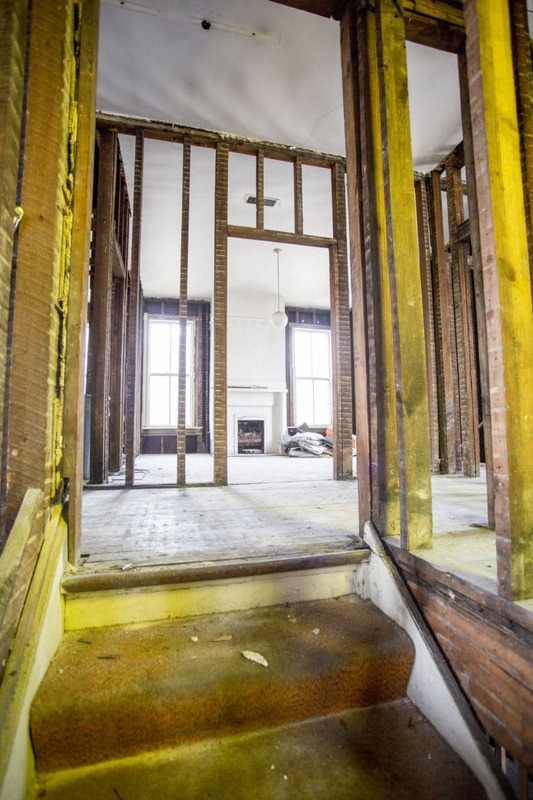 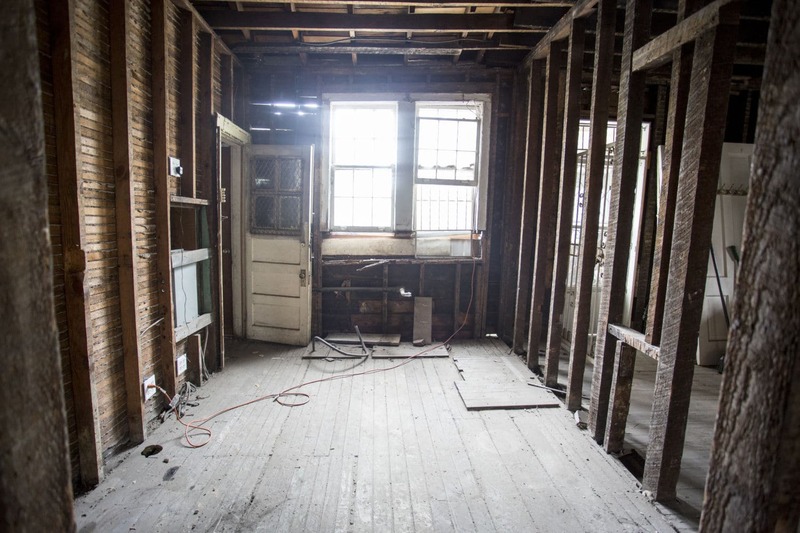 This collection of photos shows the interior after demo of the non-historic walls and additions.